Celeste belongs on the Mount Rushmore of 2D platformers. 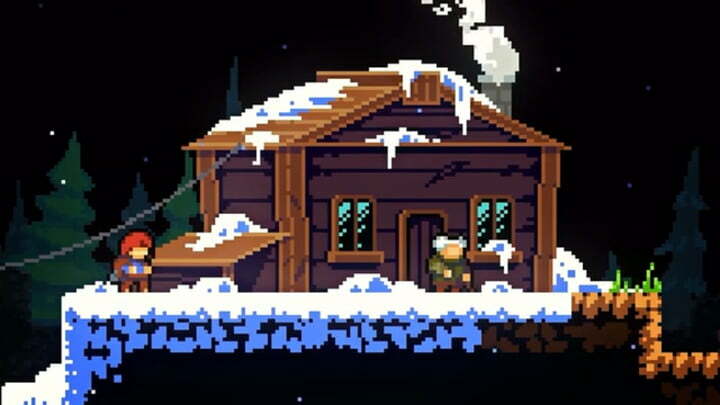 Immediately after reaching the summit of Celeste Mountain for the first time, I started a new save file and began my journey from the base once again. I never do that, because, well, there are so many great games to play that spending additional time with one I’ve already finished doesn’t make sense to me. 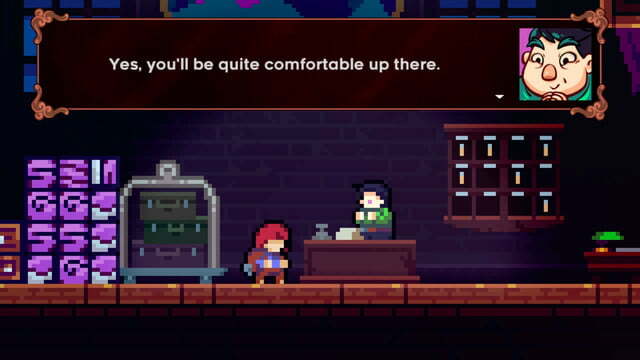 Celeste, though, compelled me to return to the start in hopes of further understanding how this flooring experience ticked. If I was asked to create a Mount Rushmore of 2D platformers, I’d have a really hard time narrowing a list down to four. The only certainty would be Celeste, a platformer with more heart in a single chapter than massive AAA games typically manage in 50 hours. 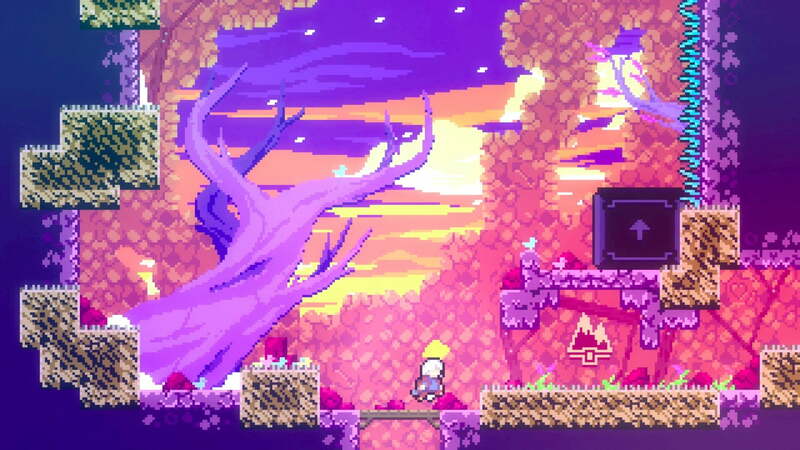 The sophomore outing from Matt Makes Games, the indie studio behind Towerfall: Ascension, is undoubtedly one of the best games of the year. It places a spotlight on indie games in the same way that other torchbearers such as Braid, Super Meat Boy, and Spelunky did before it. 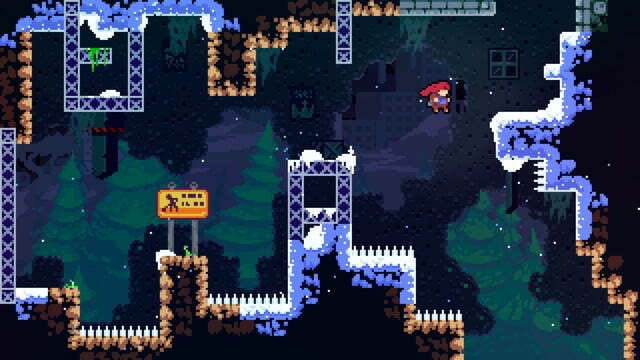 Celeste is simple to get into, as challenging as you want it to be, and tells a sterling, understated story about overcoming one’s internal turmoil. Since its launch in January, I’ve seen the credits three times, and each time I play it, I find new reasons to appreciate its mastery. Celeste follows Madeline, a young woman who has lost her way, and decides to climb the remote and perilous Celeste Mountain. 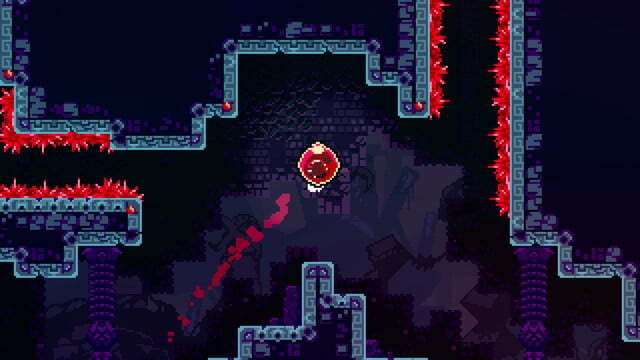 It’s a precision platformer that bears some resemblance to Super Meat Boy. 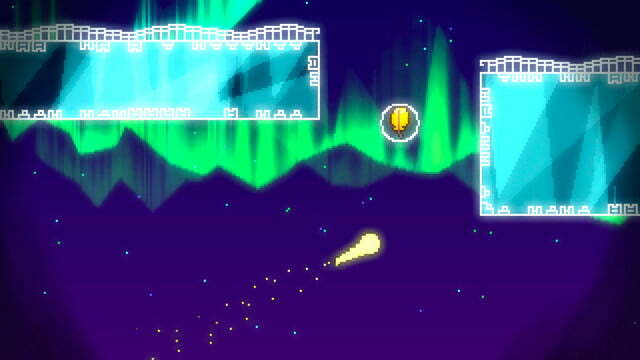 Each screen (sometimes a scrolling screen) constitutes a single level. If you fall, hit a spike or other deadly obstacle, you have to replay the level from the beginning. From the start, Madeline can jump once and dash a single time in the air in any direction. She has to touch the ground before she can dash again. Similarly, she can only hang onto walls and climb for a short period of time before losing her grip. One thing that instantly stands out in the very first chapter is how the controls feel. While I wouldn’t quite call the controls tight, they aren’t exactly floaty either. It feels unique in motion, and once you get in a groove, Celeste feels like a magic trick. 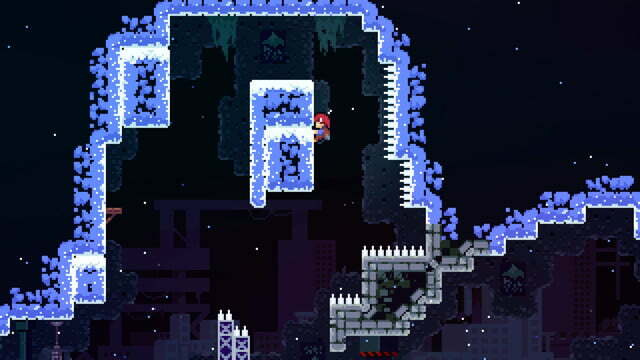 Celeste is simple to get into, as challenging as you want it to be, and tells a sterling, understated tale about overcoming one’s internal turmoil. 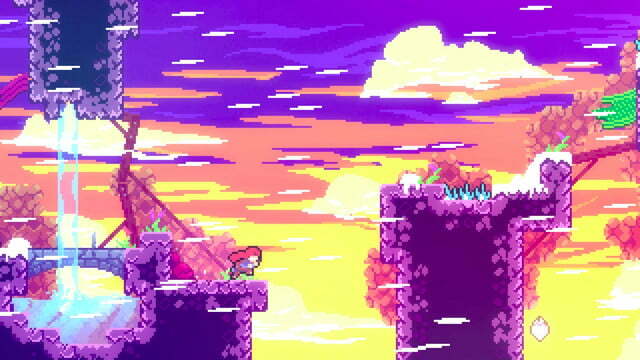 Although Celeste is one of the many games of its kind to use retro-pixelated visuals, the art style still has its own flavor. It almost looks like a 16-bit SNES era title, but you’d struggle to find a game that matches its exact look. The color palette runs together in places to create a muddy flair that at first glance seems odd. As you keep playing, however, it’s clear that the aesthetic, which includes character models lacking standard facial features, plays into the uncertainty of Madeline’s journey. I never go into a 2D platformer expecting to be moved by the story. Most 2D platformers don’t even have much of a message to speak of, but Celeste holds one of the best stories about mental illness — specifically anxiety and depression — I’ve experienced in a game. Throughout her trek up the mountain, Madeline confronts her fears and reveals her insecurities in exchanges with characters she meets along the way. The writing is insightful, and on numerous occasions, the levels feel like metaphors for how Madeline is currently feeling at that moment in time. The true brilliance of Celeste is in its level design and the clever ways its simple mechanics evolve. All eight of its chapters add a new wrinkle to the gameplay. In chapter one, the goal is to get your bearings by jumping through the ruins of an abandoned city at the base of the mountain. In chapter two, you’ll master the dashing ability as you travel through magical forcefields that both assist and impede your ascent. These rippling blocks can only be entered with a dash, and fling you in the direction from which you entered. This could be to your safety or into a set of spikes. The further you progress through Celeste, the more it asks of you. Crystals can refill your dash in mid-air, entering clear bubbles fling you forward, while red bubbles send you zipping across the stage until you jump out with a dash. There are platforms that only shift positions when you dash, blocks that carry you long distances but will break when hitting an obstacle, and metal contraptions that shoot Madeline around like a pinball. 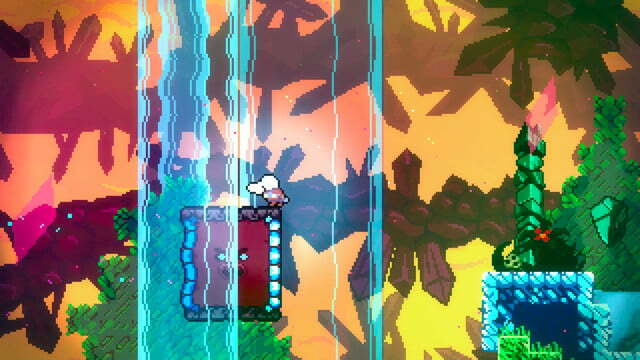 Some platforms and walls form death-inducing growths when touched, so you have to make quick decisions. A late chapter introduces wind, which greatly alters jump timing and strategy. 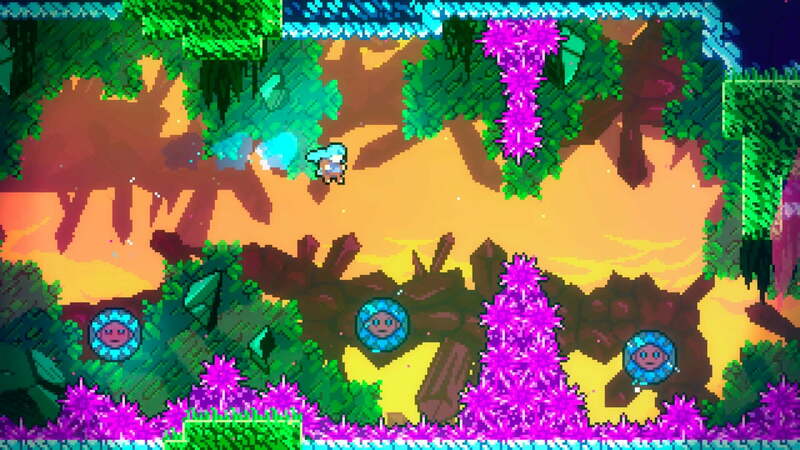 Celeste throws a dizzying array of obstacles your way, but all of them are introduced organically. Make no mistake, you will probably die hundreds if not thousands of times while climbing that treacherous mountain. So much so, that the game even keeps track of your deaths. But death never feels unfair in Celeste. The solution to each stage, both small and large, is never unclear. It’s just a matter of performing the correct series of movements, using both Madeline’s abilities and the environment around her. I’m still in awe at how prepared I felt despite the game never explicitly telling me what to do. On several occasions, Celeste features chase scenes and pseudo boss battles. These moments test your skill even more, as they give you little time to plan out a strategy. You simply have to do what feels right. It’s exhilarating to rely on your gut instincts to make it through these challenging sections, and I’m still in awe at how prepared I felt despite the game never explicitly telling me what to do. All of the chapters have their own unique atmosphere. While a sizable portion of the adventure takes place on snowcapped mountains, you’ll also visit an old hotel, a mysterious temple, and a few other unexpected locations. The beautiful soundtrack, too, changes with each chapter, artfully matching the tone and feel of the current environment. 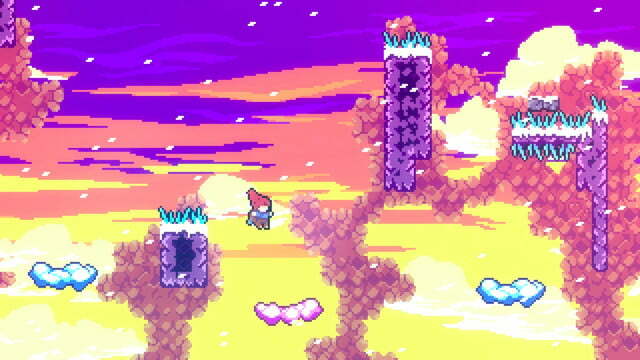 Celeste’s soundtrack, a mix of moving piano arrangements and hypnotic melodies, is my favorite of 2018. Though you complete each section of a chapter individually, the world itself is interconnected. There’s a linear progression to the chapters, but you aren’t always scrolling to your right like many 2D platformers. Sometimes you head down, up, right, left — or a combination of directions in a single sequence. The design of Celeste’s chapters opens up a myriad of secrets to uncover. 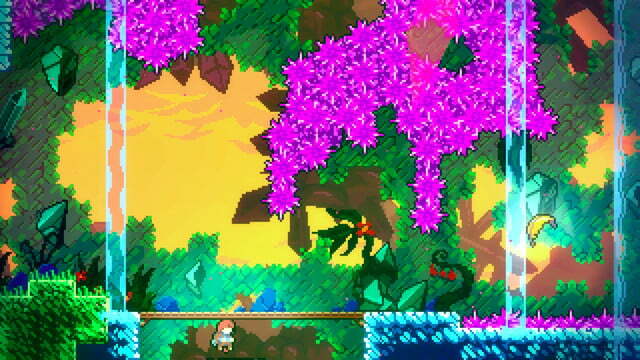 Strawberries are the main collectible in Celeste, many of which are out in the open in hard to reach areas. But other strawberries can also be found hidden behind deceptive walls and in hard to reach passages. Beyond strawberries, there are also blue and red hearts to collect in each chapter. These precious items are very hard to find but serve an important purpose after you complete the game. Some of the hearts even require you to perform a complex set of actions to unlock them. 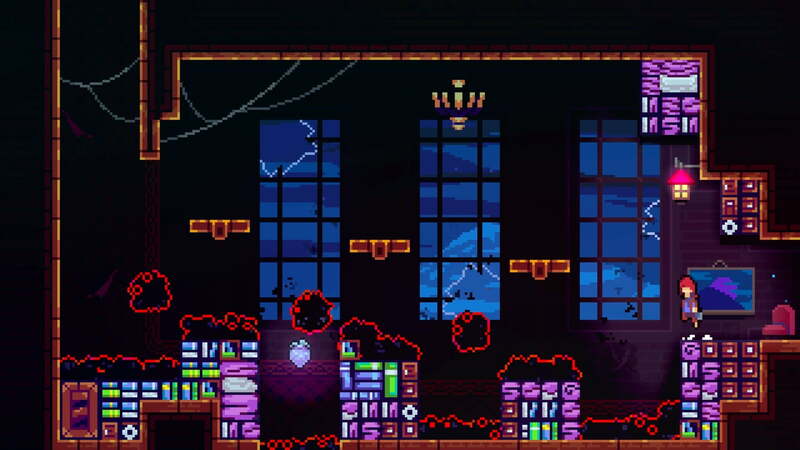 Celeste is already a lengthy 2D platformer to begin with, but you can get more than double the runtime by finding hidden tapes. Each chapter has a B-Side tape to find. Once unlocked, you can play a remixed version of the entire chapter. The B-Sides are much more difficult and even include reworked musical arrangements that gel nicely with the increased challenge. It doesn’t stop there, though. You can even unlock C-Sides, Celeste’s ultimate tests of skill, and a neat, playable 8-bit version of Madeline’s journey. 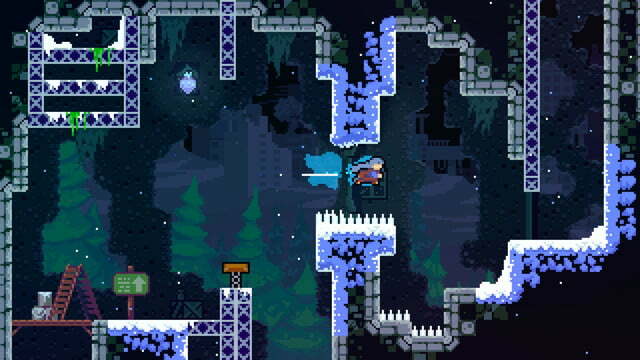 Games as challenging as Celeste typically take pride in their difficulty. Celeste, however, tells you to take pride in your death count because each one provides a lesson. And that’s true. Still, Celeste, rather admirably, doesn’t want to leave any player behind, regardless of skill. 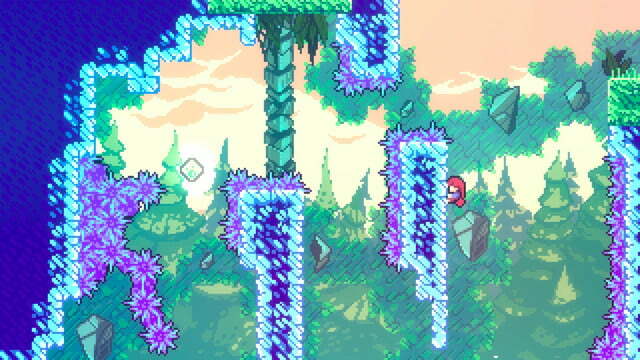 Celeste, rather admirably, doesn’t want to leave any player behind, regardless of skill. At any time, you can turn Assist options on to modify the experience. You can decrease the game speed down to 50 percent, give yourself infinite stamina for climbing, provide Madeline the power to dash either twice or infinitely, and even become invincible. If you’re stuck on a section for a long time, you can simply adjust your settings to get through it, and then turn the assists off once you reach the next section. It’s very rare to see a game with such a high difficulty give players the option to essentially skip entire sections if they so choose. These assists open up Celeste to players that might not have the skill or ability to reach the top of the mountain on their own with its default difficulty, and including them as an option is a really nice touch. Celeste is an expertly designed platformer from start to finish. It’s easy to get into and latches on to you with its ever-increasing depth. Each chapter adds a new layer of difficulty that changes how you play, deliberately tuning your skills so you can complete each level. In addition to being a masterpiece in gameplay and design, Celeste has an important story to tell about mental illness, and one of the best soundtracks of the year. The 2D platformer genre is filled with great games such as Super Meat Boy, Hollow Knight, Shovel Knight, and plenty of Nintendo titles, but Celeste is the best of 2018. You can run through the game in roughly five hours if you don’t pursue any secrets. Completing the B-Sides, C-Sides, and finding all of the collectibles could take you upwards of 50 hours or more. 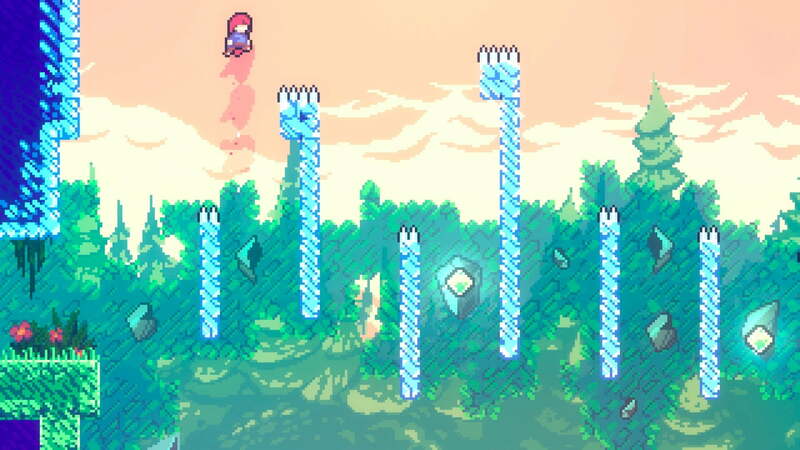 Yes, if you have even a remote fondness for 2D platformers, Celeste is one of the absolute best in the genre.